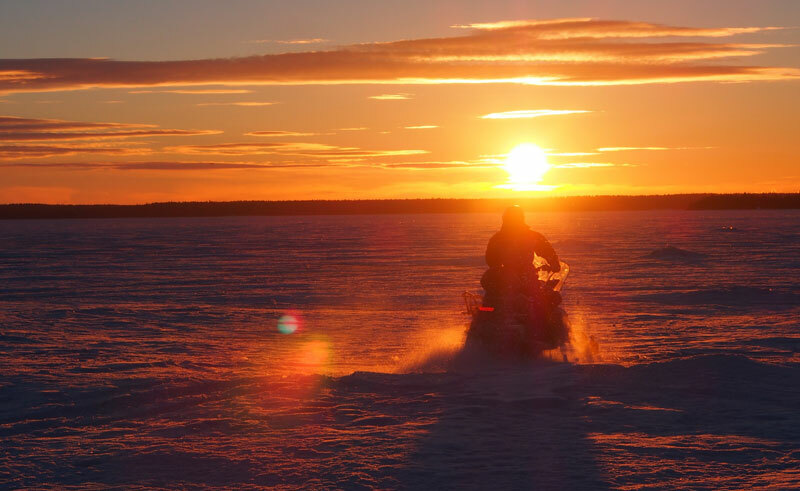 Following safety instructions you take to the glistening ice and islands of the Lulea archipelago on a snowmobile. Along the way the guide will tell you about the surroundings and about life in the northern wilderness. You will be offered hot drinks and an opportunity to try your hand at ice fishing. You will drive to the island of Brandoskar, located in the outermost archipelago, an idyllic fishing village dating from the 17th century. The chapel there dates back to 1774 and visit one of the old fishing huts. At the edge of the island is the frozen Bothnian Bay, which looks like an endless field of pack ice and snow. Lunch will be served around an open fire. You will have an opportunity to swap drivers while out on the trail. Please note: Price includes third party insurance (self-risk excess 6,000 SEK). Drivers must hold a valid driving licence and be able to show it on request. Includes winter clothing, equipment and lunch. The time of the excursion will be confirmed locally. Younger children will travel in a sled pulled by the guides snowmobile.